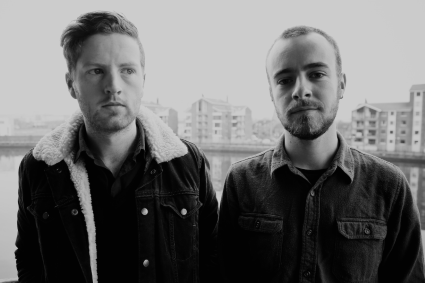 Northern Irish trio Axis Of have been winning hearts throughout Europe since the release of their debut album ‘Finding St. Kilda’ in 2012. Their records espouse a deep love of music, meeting new people and travel: “The touring we do completely shapes our music and lyrics,” explains Ewen Friers (lead singer and bassist). The bands second album ‘The Mid Brae Inn’ (2015) took this to fascinating new emotional heights. 2015 saw the band make their 400th live appearance and perform at some of Europe’s most respected venues while supporting My Chemical Romance star Frank Iero. Touring ‘The Mid Brae Inn’ throughout the past year has allowed the band to truly experience a deep connection to their following as their loyal ‘Companions’ enthusiastically chant the lyrics of the album’s opening track “All My Bones”. The title of this live album was soon seen written on jackets and t-shirts and eventually tattoos began surfacing across the country and beyond. As tribute to this powerful display of togetherness, Axis Of bring you their first live album, ‘Companions’ featuring a selection of recordings from various shows throughout ‘The Mid Brae Inn’ live tour. Recorded, mixed and mastered by Andrew Coles (www.beardnoise.com) this digital album is available to download via Independent Music along with the bands exclusive two track lathe cut single which features “All My Bones” (Studio version) and “All My Bones (Live)” with guest vocals from Frnk Iero and the Cellabration and The Homeless Gospel Choir.